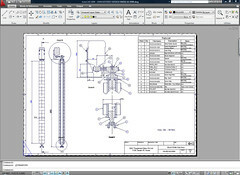 The themes for the AutoCAD 2009 release include a Modern Product Line, Workflow and Drafting Productivity. 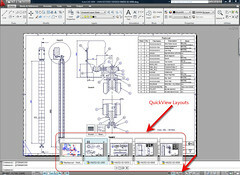 Modern interface – Updated the user interface by capitalizing on elements of the new Windows Vista operating system and will provide more information where the customer needs it with Enhanced tooltips, just-in time editing tools & pull out dashboard panels. We will continue our task-based design approach with new Context task controls in the dashboard (now available in a new horizontal arrangement as well as the existing vertical format). We will take advantage of new UI paradigms focusing on increased efficiency in task-oriented workflows and maximizing screen real estate. Learnability - We employ various approaches to make learning new features as easy as possible. Satisfaction - Through error reduction and compliance to all usability metrics we will strive to positively impact user satisfaction. 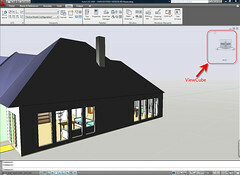 Common Look & Feel - In accordance with our corporative initiative to align design components across Autodesk products, we will be incorporating some 3D Navigation tools from the M&E product line into AutoCAD. We will also unite our products with some common UI elements such as our application frames, a new File Navigation system (based on the new Vista File Navigation dialog), and use of the dashboard as the primary UI element. · Provides a single, compact placement for operations that are relevant to the current workspace. · With dynamic tool tips, you can select F1 to go directly into the help context for that item. · SteeringWheels are tracking menus that are divided into different sections known as wedges. Each wedge on a wheel represents a single navigation tool. 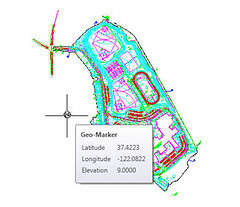 You can pan, zoom, or manipulate the current view of a model in different ways. · Can save you time and clicks by combining many of the common navigation tools into a single interface. Wheels are specific to the context that a model is being viewed in. · Action macros can record most commands that can be used from the command line and some of the user interfaces that you are already familiar with. 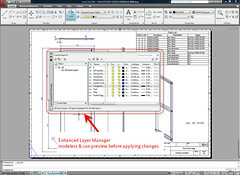 · Columns can be frozen to aid scrolling across many columns in the layer list. · Non-rectangular viewports now display properties in the property palette and can also input scale and specify lock or unlocked settings from the property palette. · In the Plot dialog, If a plotter device is missing, the indication of the word “Missing” is now prefixed in the plotter device name instead of being suffixed. This avoids the possibility of not knowing the device is missing since the plotter name may get truncated in the Plotter Name text box especially if the Plotter name is long. · The future of DWF — is based on the XML Paper Specification (XPS) format from Microsoft. 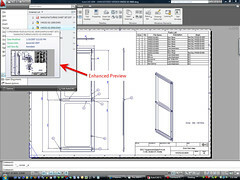 • License file will support running prior AutoCAD version up to 3-releases back.